The onset of cold and flu season often calls for trips to the over the counter isle to try and purchase a little relief. Having these 3 homemade items ready to go can eliminate a few supplies from the shopping list. Frequently washing hands is necessary to ward off germs, but it can also leave skin dry and irritated. Hand scrubs can be made at home with only a few ingredients from the pantry and a sterilized glass storage container. 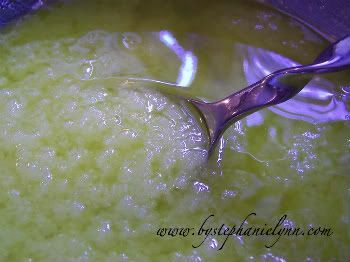 This lemon sugar hand scrub provides a natural exfoliating wash using sugar, olive oil and lemon juice. It also makes a great gift idea. Chest congestion and achy muscles can benefit from all natural vapor rub. Some store brands may contain petroleum or other ingredients that can irritate skin. Made with camphor, eucalyptus and mint essential oils, a homemade version can help clear nasal passageways and help induce relaxation with its aroma and therapeutic properties. This recipe uses beeswax and a blend of essential oils, and can be conveniently stored in reused tins. This quick recipe can be quickly made and requires only 5 ingredients. Kept in a sealed, glass jar it can be kept for months in a dark place or in the refrigerator. Great for sore throat relief, but some packaged brands may sometimes contain additives and artificial colors. Making your own cough drops is much like making hard candy, and this recipe for homemade herbal cough drops provides easy to follow instructions. Using a mixture of herbs and raw, organic honey, they can be placed in candy molds until set or dropped on a greased baking sheet until firm. Once they are cool it is recommended to toss them in a blend of powdered slippery elm and stevia so that the lozenges will not stick together. When the cold and flu symptoms start to creep up, you will be glad to have these homemade natural treatments on hand.